Raising children in the age of portable computers and ubiquitous internet access has led to an increasingly common problem. Kids of all ages are now glued to the displays of their smartphones, and trying to pry these devices from their little hands is harder than ever. Whether they're playing games, watching videos, or chatting on social media, they just won't relinquish them. What is a concerned mom or dad to do? It is possible to get your kids away from their phones; you just need to get creative about it. Modern culture is one that is constantly engulfed in illuminated screens and omnipresent connectivity. It's no wonder kids are addicted to their phones. A great way to disconnect from the matrix is to go some place where there is no cell signal, no Wi-Fi, and barely anywhere to charge any electronics. Take a family camping trip out to one of the many breathtaking national parks across the country. When the children realize that their phones have effectively been rendered useless, they'll have no choice but to participate in some hiking, fishing and exploring. They might even learn to love it. This so-called green space therapy might even help with ADHD! When the kids are actively engaged in something they enjoy, they're not going to be as interested in whipping out their phones. There are two key factors to consider here: purpose and engagement. 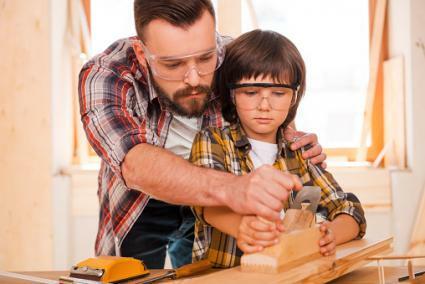 Start a family project that you can work on together with the kids on a regular and consistent basis. This is some high quality family bonding time! The actual nature of the project doesn't matter very much as long as it is something the child actually wants to do. It could be raising a vegetable garden, building a treehouse, sewing a patchwork quilt, tracing your family's ancestry, or learning to cook by attempting to replicate grandma's delicious recipes. The hours will melt away, free from any glowing screen. The greatest strength of smartphones and tablets can also prove to be your greatest challenge. These handheld devices offer near infinite possibilities with millions of apps, innumerable videos, and more content than you'll ever be able to consume. They're bottomless pits of entertainment and distraction. One way to reduce the appeal of the phone is to limit what it can do. 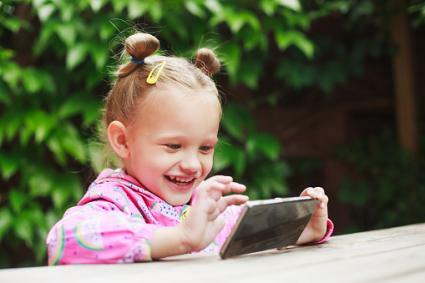 Allow the child to pick only one game that he or she can play on the phone for one month. Eventually, he or she will get bored of that game and won't want to play it anymore. A new game can be selected the following month, and the cycle can renew. Alternatively, divide the selection into "learning" apps and "junk" apps, allowing more time for math and reading apps and less time for apps that provide less educational value. 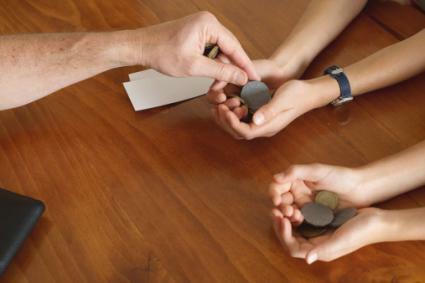 Giving an allowance is a fairly standard practice among parents. Why not expand the concept of an allowance even further, whether it involves real money or a virtual currency? The specifics can be adapted to suit your needs. Let's say that Timmy gets a monthly allowance of $20. The chores that he completes may be assigned different values to help him increase this amount, teaching him the value of hard work. And if he wants to play some games or watch some Netflix on the phone, it's going to cost him $1 an hour. At the end of the hour, he can choose to give up the phone or pay another dollar. Think of this as the family-friendly version of the phone stack. The goal is to deter people from getting distracted with their phones while at the dinner table, encouraging them to interact with their dining companions with meaningful conversation. When everyone is seated, everyone must place his or her phone in the center of the table. In the adult version of the "phone stack," the first person to grab their phone is responsible for paying the check. In the family version, perhaps make it so that the first person to reach for their phone has to wash the dishes or perform extra chores. In the context of fitness and exercise, HIIT stands for high intensity interval training. By alternating between very intense periods of exercise and short recovery periods, HIIT is an effective way to lose weight. A similar philosophy can be applied to kids and smartphones too, hopefully with less sweat and fewer aching muscles. 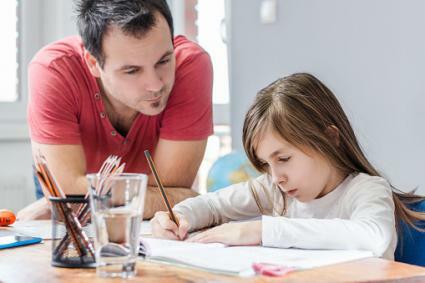 For every 30 minutes of continuous and focused homework time, the child can earn 30 minutes with the technology of his choosing before switching back to another 30 minutes of homework. The length of the interval can be adjusted, of course. This is also similar to the popular pomodoro technique used for boosting productivity. Kids might learn that they finish their homework more quickly this way too! Kids, much like adults, are going to be much more motivated to do something if they have a reason to want to do that activity. A reward system can also help to teach them about delayed gratification. If the little one can go two days straight with zero screen time whatsoever, he or she can choose a fun weekend trip. A great way to do this is to invest in annual family passes to some local attractions, like the aquarium, zoo, amusement park or children's museum. If little Maddy can exercise self-restraint during the week, she can have a terrific Sunday exploring all the different animals at the zoo. True for users of all ages, staring at the glowing screen of a smartphone just before bedtime is not conducive to a good night's sleep. It can be very useful to establish times and places in the home when the child is not allowed to use a phone, tablet or similar device. After a certain hour, all technology must be put away. The phone must also never be used in the bedroom. A great way to enforce this is to have a family charging station in a public area of the house. 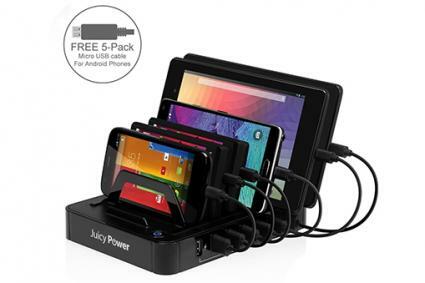 You can also indicate that the charging station can only be used at night, so if Jack plays too many iPhone games during the day and drains his battery, he won't be able to play again until the next morning. As snarky and as disobedient as they may be sometimes, your kids still look up to you. They learn a lot more by watching what you do rather than listening to what you say. If they see that you are always checking your email and updating your Facebook, can you really expect your kid to be any different? They don't really understand that you're on your phone for "work" purposes. Be a positive role model and lead by example. Take a look in the mirror? Are you addicted to your smartphone too? Do you need to implement one of these strategies yourself?